Planning a unicorn party? 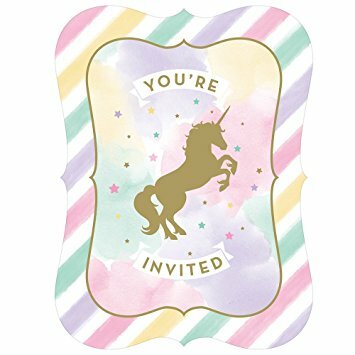 Our Unicorn Sparkle Party Invitations are a lovely way to set the scene. They feature a gold unicorn and pastel rainbow colours on the front and pink lines on the reverse for you to write down the party details. Pack size: 8 invitations and 8 envelopes.